If last week we were touching the field of the rehabilitation, today we give a draft and approach the urbanism, and what it forms of doing it of the hand of Paisaje Transversal, which we were lucky to know on the occasion of the prize that they received the Prize Next Arquia Innova, national prize for young architects in his paragraph of innovation. Si la semana pasada tocábamos el campo de la rehabilitación, hoy damos un giro y nos acercamos al urbanismo, y qué forma de hacerlo de la mano de Paisaje Transversal, a los cuales tuvimos la suerte de conocer con motivo del premio que recibieron el Premio Arquia Innova Próxima, premio nacional para jóvenes arquitectos en su apartado de innovación. Paisaje Transversal is a project created little by little by five architects – town planners who saw that it is possible to construct very much without building so much. 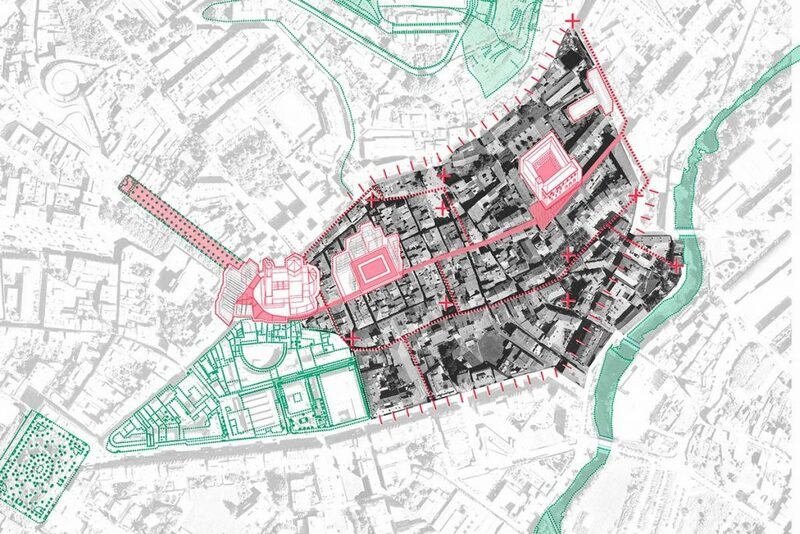 Since office of urban Innovation stimulates the urban regeneration and the design of public spaces, always possessing the maximum participation of the citizenship and an own methodology. To a complementary formation in fields as communication, participation, design, management, etc. A passion joins them for improving the urban environments across projects in which with an economic moderate investment there is reached the implication of the actors and big benefits in the quality of life of the persons. 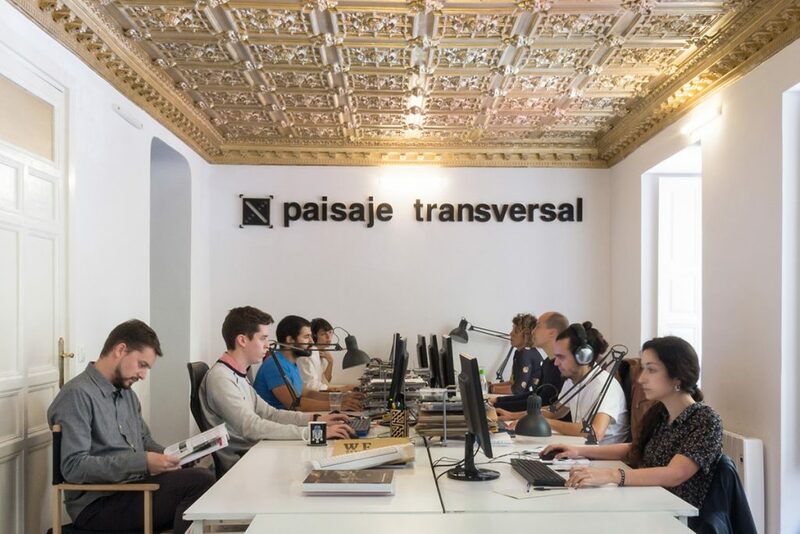 In addition Paisaje Transversal understands the architecture and the urbanism as a transverse discipline by what specialists are nourished of a collaborators’ wide network in matters as sociology, geography, economy or right, with that testean his methodologies. It forms this one of understanding the profession and the trade, has led them to beginning a managerial alliance with Creando Redes (office of ecology and restoration of ecosystems) and Hécate Ingeniería (office of engineering mobility and transport) for the development of integral projects in the territory and in the city. Let’s know they a bit more! How would transverse Paisaje transversal? 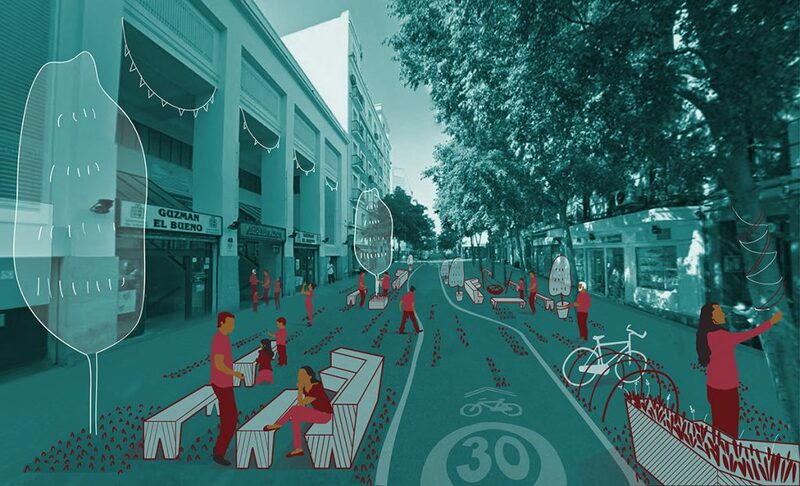 Paisaje Transversal is an office of urban innovation that it stimulates, coordinates, designs and advises processes of transformation and urban analyses from the participation, the ecology and the creativity, always adapted to the local reality. Nowadays the office is composed by five partners (Guillermo, Jon, Jorge, Prop and Iñaki), architects town planners taken charge of the coordination and development of the works. In addition the equipment possesses a town planner dedicated to the development and production (Ángela), a person in charge of the administration and logistics (Sonia) and a journalist dedicated to the communication and the marketing (Laura). How, when and why does Paisaje Transversal arise? Paisaje Transversal arises from a group of students of the Technical Top School of Architecture of Madrid, as a blog that it was trying to debate on the city, the territory and the landscape. Something that one was not finding in the context of the moment, orientated in forming on the building and, more in I make concrete, towards the major Architecture. Later the blog gave step to a university association that was consolidated little by little and transforming in a center of activity, which it led us to thinking about the possibility of giving the jump to the professional area, which gives place to Paisaje Transversal as is just now. The principal difficulties arise when we face the idea of creating a company, area not known in our formation, and in addition we do it in a context of crisis, general uncertainty and specially of the profession. The construction of the company-autofinanced across our effort and that of our families and friends in some cases – was and it continues being the major problem. To work for the public administrations, with low budgets and payments very expanded in the time, he carries a great pressure on the small enterprises to economic level. How is it day after day in Paisaje transversal? Normally we develop several works in parallel, with an average concerning eight projects, in which there exists always a coordinator and a person of support during the whole process. The initial exposition always is realized in a joint way across meetings designs at which there are employed several or all the persons of the equipment. In addition in certain milestones of the processes there are realized also joint meetings of review or rethinking, principally linked to the most creative moments or of planning. We are employed at the whole national territory and, at occasions, worldwide, what implies a constant mobility (wealth-producing but also sacrificed at the personal level). This factor is not determinant for to select and we try that it it is not in the calculation of hours either, to be able to realize the projects in that we are interested be where they are. In this respect, we try to collaborate providing that the circumstances allow it with equipments or local professionals, who us contribute not only his technical knowledge but also his look near to the territories. What types of projects are the principal ones for the study? Paisaje Transversal develops a wide variety of projects on the city and the territory. 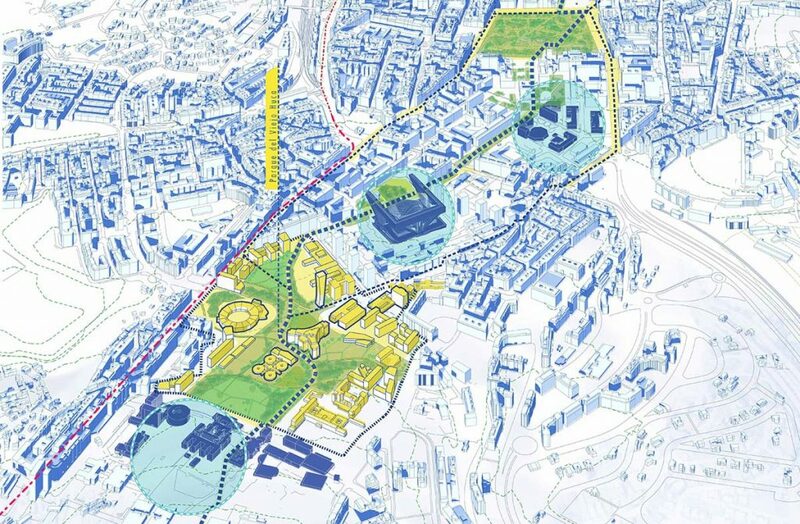 These include different scales: from the design of public space (since we are doing nowadays in Torrelodones with #Pradogrande) up to the territorial planning (as the Territorial Strategy Espalet), happening for all the different intermediate scales (as those of city that we have developed in #OlotMesB: in the neighborhoods of Sant Miquel and Nucli Antic). All they with questions relative to the models of financing and management, as well as vertebrates for the most important element of the office that is the urban regeneration. How are they the orders? The orders arise across public biddings, which often carry a previous work of presentation of methodologies and offers to the different administrations with the aim to help them to solve his needs from our capacities and philosophy. Which are your references to raise them? Normally we handle many external references to the works, though specially in the beginning two relating offices have existed for us: Gehl Architects and Project for Public Spaces. . To methodological level, from the first moment we develop tools and own methodologies, based on our knowledge and investigation on cooperation, sociology, etc. We continue checking and transforming these methodologies inside the cycle of innovation of the office. 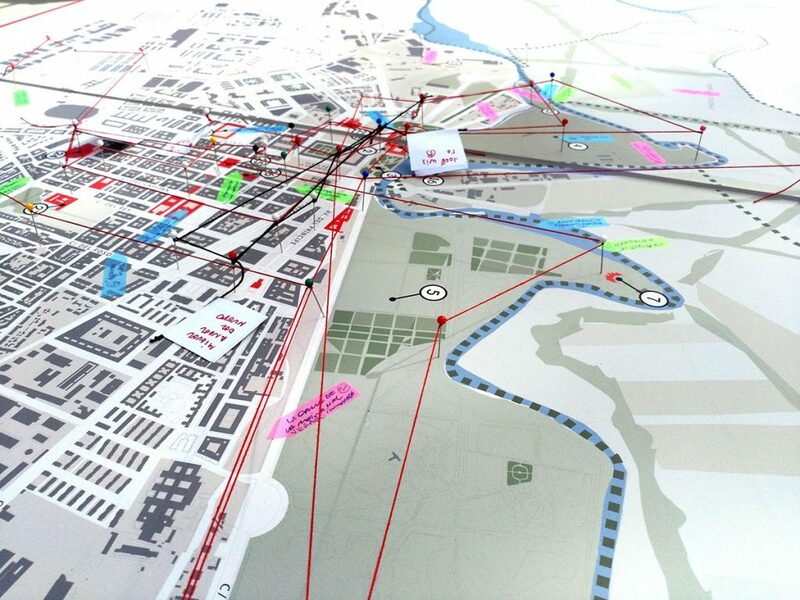 We incorporate the new technologies so much into the engineering development of the works, across the use and exploitation of the big dates back applied to the urban analysis, since for the participation and communication of the processes. In addition, our blog and the profiles in social networks have been always a platform to share our knowledge and information and to enrich it with the different contributions of our community. In this sense the “network” it has allowed us the connection with multiple professionals, to establish numerous collaborations and to develop different formulae of work across the digital space. It is necessary that each and every of the opened fronts approach since many are related between yes. The profession has reached a condition of deterioration that does not allow to continue looking at another side. The diversification of the profession in the last years – probably as consequence of the crisis and before the need of reinventarse – it has been very interesting. This situation, which has departed in the main from professional young persons and newly pedantic, has begun to permear towards the most rigid structures like the ETSAs or the COAs. Still it is prompt to do a valuation beyond, because still we will need to see the result of these changes but, undoubtedly, it transmits certain enthusiasm opposite to the reality precarizada in that we are. This implies also an exercise of responsibility from the profession with the development of these new practices that cannot continue dragging the problematic ones of the past. Es fundamental atajar las prácticas ilegales que se desarrollan en numerosos estudios. 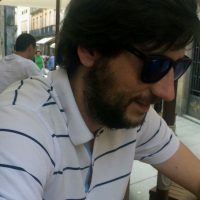 Además es necesario hacer entender a la administración pública el valor y la responsabilidad de los trabajos que se desarrollan desde la profesión, de tal manera que no puede ser el precio de los mismos el elemento determinante de los procesos de licitación. It is fundamental to catch the illegal practices that develop in numerous studies. In addition it is necessary to make understand to the public administration the value and the responsibility of the works that develop from the profession, in such a way that it cannot be the price of the same ones the determinant element of the processes of bidding. What do you think of the architects who “open and /or recover” new fields an /or approaches of the profession? There seems to us to be very positive the exploration of these new approaches that has existed in the last years, but since we have said previously still it is prompt to value the results on the profession. Are you satisfied with the path realized till now? What projects of future do wait? Though we like to be critics, we cannot any more that to do a very positive valuation of the way crossed so much in the professional thing as in the managerial thing. 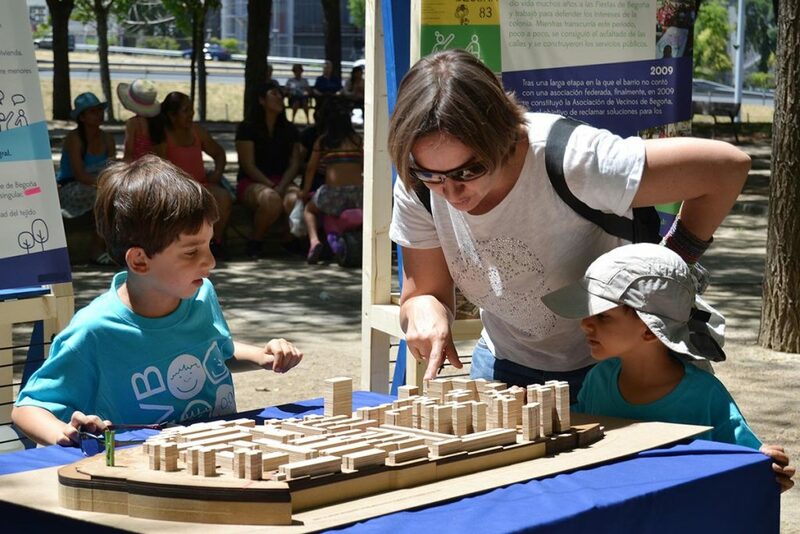 In these moments we are centred on the future, on projects of urban regeneration and of design of public space. That are not afraid to confronting a professional future out of the area of the building, since the architect’s formation provides us with tools to face the problems of a certain form – from the creativity and handling the complexity – and this can derive in diverse applications and labor exits. Model Virgen Begon citizen participation. Interview realized by Ana Barreiro Blanco and Alberto Alonso Oro. To be grateful for the Paisaje Transversal team his time and predisposition with this small space.